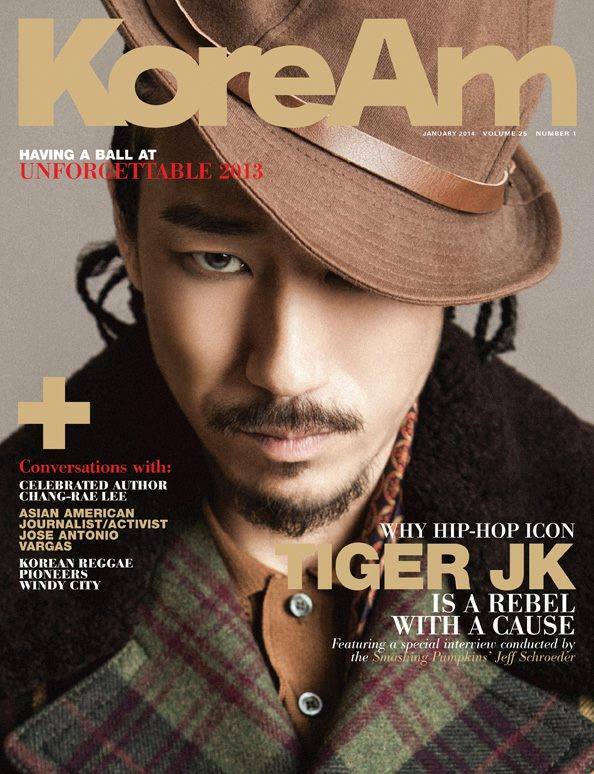 Tiger JK will start 2014 on the cover of magazines. Longstanding award winning magazine, KoreAm Journal, will feature an exclusive interview with him. KoreAm covers stories about the Korean American experience and KoreAms who have made pivotal moves in the world. As an LA native and hip-hop legend, whether JK fits the profile is self-evident. The hard copy issue will be released this weekend and can be purchased online at KoreAm’s site. However, eager fans can pre-order a copy right now. The cost is $6.95 for domestic US orders, and $20 for international (quite the bargain!). For those who prefer to go paperless, a $2.99 digital copy will be available for IPad end of this month.